Since 1972, Hobby Lobby started as a home-based framing business, but as the stores progressed into what its known today, more than 700+ stores offer the same services it did years ago, with each location staffing a professional framer for your needs. How much does custom framing cost at Hobby Lobby? The costs of framing at Hobby Lobby will greatly depend on the size of the art you’re looking to have framed, the framing style, the mat, the glass and the current promotion/coupon. From what we researched, the costs were often in the $75 to $350 range based on the factors mentioned. Customers are able to choose from more than 350+ molding options. All custom mats are archival-quality, acid-free and lignin-free to protect your artwork. At all locations, the store stocks its most popular mat-board colors. If you were to choose one of these options, you can then shop and/or wait while your art is being framed. All glazing options are UV protected using Museum Glass® to protect the artwork from harmful UV rays. 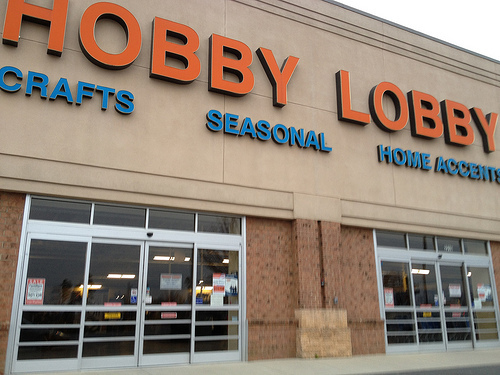 Hobby Lobby almost always has a coupon available on its official website. For example, at the time of this publishing, the retailer was offering 50% off all custom frames. Sales associates are able to help you browse frames and mats in store if you’re unsure of which option you want for your picture. Each location, as per the official website, staffs a certified framer who is able to personalize your framing experience and offer you a free quote for your framing needs.